Whether your air conditioner is acting up or your furnace needs to be replaced, be sure to hire an experienced HVAC contractor in Murfreesboro for all your heating and cooling needs. How do you know which contractor to go with? Start by asking a few important questions upfront, such as how long the contractor has been in business and whether or not he is licensed and insured. Also ask for references and/or portfolios of previous work. For confidence and peace of mind, ask about the contractor’s warranty on all HVAC repair jobs. No matter how big or small your heating and cooling needs are, talk with an experienced HVAC contractor in your area to make sure your equipment is in tip-top shape. You may save a few dollars attempting HVAC repair on your own, but you certainly won’t save any time and you could even cost yourself a lot more money in the long run if you make even a small mistake. 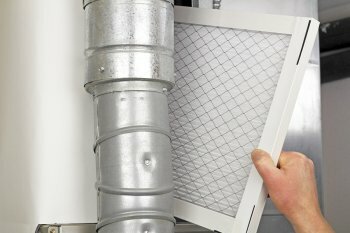 What to Expect from Air Duct Cleaning? Before the HVAC contractor gets to work cleaning your air ducts, all access ports and doors should be opened in order to perform a thorough inspection to be sure that there are no asbestos-containing materials in the heating and cooling system. This inspection will also allow the HVAC contractor to look for any additional duct damage that may need to be repaired. Duct cleaning can be a dirty job, which is one reason its best left to the professionals. Before your service provider begins cleaning the air ducts, care should be taken to protect the carpet or flooring underneath and the surrounding furniture. This may include the use of tarps or plastic sheets. 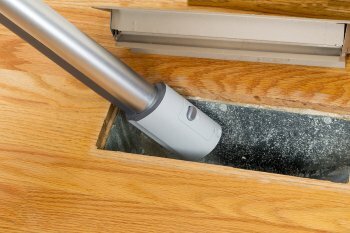 In order to remove all the dirt and junk from your air ducts, there’s really no substitute for vacuum power. In addition to its powerful suction capabilities, vacuums can also remove allergens, pollutants, and irritants from areas of the ductwork inaccessible by hand. After the air duct cleaning is complete and the equipment is removed from your home, your HVAC contractor should take care to protect the duct work, including sealing and re-insulating any access holes so they are airtight. This seal is important for improving the performance and efficiency of your heating and cooling system. 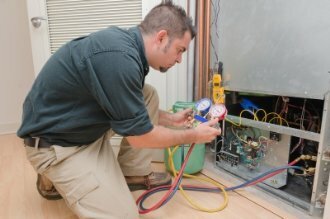 Furnace repair technicians in Murfreesboro see a lot of different problems every day. However, they also run into a lot of the same problems. That’s because nearly all furnaces are plagued by a lot of the same common issues. For example, the number one cause of furnace failure is a dirty filter. Poor ventilation is another common problem furnace owners experience, especially in the Midwest and Eastern United States where snowfall can block furnace ventilation pipes. Watch this video to learn more about these and other common furnace problems and how to prevent them. If your furnace is acting up, contact a furnace repair professional in your area as soon as possible. The sooner you allow a trained HVAC technician to diagnose your furnace problems, the sooner you can get back to enjoying a warm and comfortable home. Contact an HVAC repair contractor in your area today to request a quote and schedule service. Heating and cooling your home accounts for more than half of your annual energy costs. The key to minimizing your energy bills is keeping your heating and cooling equipment running as efficiently as possible by performing routine preventive maintenance. Routine maintenance will also extend the life of your heating and cooling equipment, which can save you money on HVAC repairs and replacement costs in the long run. Since we’re in the middle of winter, we wanted to specifically share the importance of preventive maintenance for your furnace. If you’d rather leave the maintenance to a professional, contact an HVAC contractor in Murfreesboro and sign up for an annual furnace maintenance plan . In addition to lower energy consumption, an efficient furnace will also run into fewer mechanical and electrical problems than a furnace that is not very well maintained. 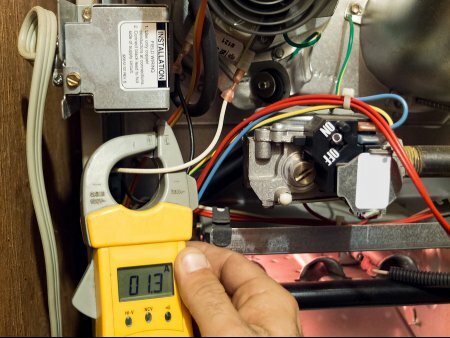 If you schedule preventative maintenance with your Murfreesboro HVAC contractor, the technician will also be able to spot any minor or developing furnace issues before they get any worse and require major repairs. This alone can save you hundreds or even thousands of dollars in repair and replacement costs over the life of your heating system. A well-maintained furnace is worth its weight in gold when the weather turns cold. That’s because you can count on a well-maintained furnace to keep you and your family warm all winter long. To avoid the stress and discomfort of a poorly-functioning or inoperative furnace, sign up for a furnace maintenance plan with Quality Heating & Air . A furnace maintenance plan includes free seasonal maintenance and discounts on parts and labor. You will also receive priority scheduling and same-day service when available. And because your furnace will be in tip-top shape, you will also benefit from longer equipment life and lower utilities. Get in touch with Quality Heating & Air of Murfreesboro to discuss the benefits of investing in a furnace maintenance plan.